It's sad getting updates on this thread. I'm thankful I asked for a refund when he first offered because I realized I had too many keysets. Boy did I dodge a bullet. He's really been MIA for a while now and it's becoming rather concerning especially how he's launched other products. Was contemplating getting BKE domes but I think I'm gonna steer clear for now unless he starts resolving his outstanding customer commitment issues. I know he's had personal issues which is very unfortunate but it becomes a little inexcusable when you start launching other things also. I'm normally forgiving and understanding but this is becoming pathetic. Totally agree with you. Really disappointed in what's been going on lately and surprised that the community overall does not seem to care. After my experience with mc rebirth and later getting shipped a broken artisan (protected by nothing but very thinly padded envelope) I'm probably going to be staying away from Keyclack for good. 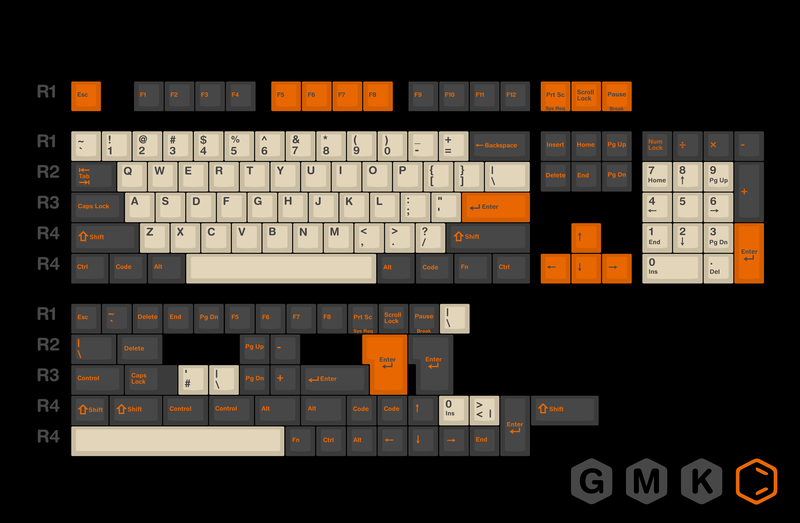 Yeah, keyclack's reputation is arguably below garbage at this point. He was thrown a softball to become the hero of this community but others have rightfully taken his place. I truly have sympathy for his family issues, it's horrible... but he's clearly screwing his customers over while launching new products so sympathy becomes harder to have. Sorry Jchan, but if you truly cared about your customers you'd address all of your outstanding orders and not send newsletters about your new products. You can't have your cake, and eat it too. Yup this is exactly how I feel.. anyways we can't do much if he's choosing to ignore us. It is sad how the community has just completely ignored this, but I guess none of that is in our control. The community ignores this because, imo, most people have the "as long as I got mine" attitude. People that have been burnt and are full of complaints all of a sudden start giving praise once they have their order in their hand. People that have not been part of these buys, but spectate on the sidelines, still go and support the business when a new product is launched because, where else are they gonna get it? Yeah, the mk community is filled with friendly people, but the reality is at the end of the day everyone is pretty much out for themselves. People talk about vendors doing great things for the community by creating products we wouldn't otherwise have. But are the cool products really the thing that makes a "great community". A community is comprised of people, not products. It's true, the MK community is filled with so many kind and understanding people. In fact, most people are so kind and understanding that they just bend over backwards. So much so that we lower the bar for what is expected of them. Whenever a GB goes wrong people always shout "CAVEAT EMPTOR" and throws all the responsibility on the buyer. What about CAVEAT VENDITOR? For what it's worth, I think this is extremely disappointing of jchan. I was going to purchase from him, but he's shown his lack of care as a person. It isn't anything to do with his personal life, as he has time to dedicate towards other products. The community will carry on supporting him after this mess (along with his other projects going wrong), and just turn a blind eye. He knows this, so carries on his poor behaviour. Email sent about lack of updates 40 days ago, no response, no update, no notion of any refund. What gives? Same here, I sent an email 3 weeks ago and another one 1 week ago. No response yet. Sent out an email to everyone, cheers. Did you miss something from us? When will these start shipping? Same question here. No response from him again after he sent the email. "Converting Oxygen into CO2 24/7"
Damn And he felt the need to DM an insult after bringing this to his attention too! Considering the amount of heat you got from the community (me included) for some of the stuff with the X60 GB I'd imagine seeing Jchan get away with this stuff must be frustrating. Not frustrating, just disappointing (sound like a parent ). Different scenarios though. Lots of lessons to be learnt from X60, but with Jchan doing this, the only lesson to be learnt is how to not neglect projects/customers. Annoying thing is though, as you alluded to previously, unless you are one of the very few involved, nobody cares. Also as it is still such a niche hobby with relative monopolies in terms of some products, it doesn't stop people buying in the future. I'd rather not buy from keyclack again (which is a shame as I have bought a lot of good stuff from there) but I'm probably still going to because he has some things that nobody else does =S. It's funny how things that have been paid for are given zero attention yet he is extremely prompt at replying to and promoting whatever his latest new product is. Yup. Sad to say but I'm gonna probably source my stuff from other vendors whenever possible. jchan any update to when you're going to be mailing us what we paid for? Still no updates for the refunds? Must be nice that the more recent group buys are getting fulfilled/prioritized first while this one is just here being ignored and left to rot away. I don't think we're ever going to get what jchan promised us in the last email. It's clear that his priorities aren't here. He obviously has the time considering all the new GBs and artisans he's been pushing. I think that email was an attempt to save face and nothing more. Jchan speak up. I have gotten zero responses on my recent emails. Messaged him on instagram and he's very active there. Tried asking about the new stuff he sells and he is quick to reply but when I started mentioning this group buy or the refund, he didn't even consider reading my messages anymore. Try PM'ing him on instagram and there's a better chance he might respond there than e-mails. I want an update on my requested refund. Update just in: Once he has your money, he doesn't give a ****. Jchan/Keyclack is easily the worst keyboard vendor in North America at the moment. 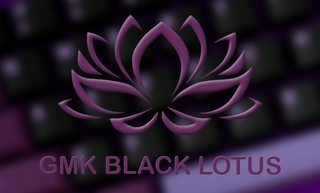 If we don't get our money back by the end of this month, I know at least a few makers and content creators who will be glad to post on /r/mk, YouTube, and Twitch about why Keyclack doesn't deserve anyone's money moving forward. My M65-A order took a year and 13 days to be fulfilled. I even found out that Jchan was intentionally withholding my order because I asked for updates and accountability in the GH thread for the M65-A. Hell, he still owes me replacement keys/kits for my XDA Milestone order. Hello, Jchan! I hope this PM finds you well. I am writing to ask for updates regarding the Master Control Rebirth GB that I joined over a year ago. I understand the GB has been officially classified as "failed" from the email you sent us exactly two months ago (Feb 3, 2018), to which there has been no follow-up since. Unfortunately, I am not interested in any of the artisans you proposed as remuneration in the email. Below is my order number and I would like a refund for the $192 I paid to Keyclack on Jan 6, 2017. Missing : Homing/Deep Dish "J"
If you currently have no way to acquire these keys from the manufacturer, then I would like to return these still unused kits for a refund (I will pay for shipping). He blocked your messages or all of them? Either way, it's ****ing low. To be fair he has had all PMs on GH blocked for ages, since before he turned shady. Several emails later, no response. First IMSTO then him. Hopefully the hammer cherry profile buy will run better. I'll be processing your MC Rebirth emails next week. 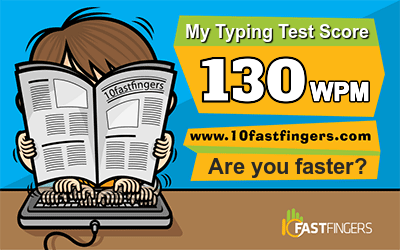 I'll be processing them all manually, sending you each (50 people), individual emails, about what your preferred resolution is, and if it's been changed since the last correspondance that I have in email. Heard it all before, many times unfortunately. If you genuinely plan on doing this and it does happen then I appreciate it. There is a point whereby one has to realise that the patience and understanding nature of people has been taken advantage of and we are being treated as fools. This has long passed and after the repeated and blatant lies we have been fed, you'll have to forgive me for not believing in empty promises until I have the evidence in front of my eyes. Can't be bothered to have any more frivolous, months-long email correspondences. I just want a refund of everything I have pending with Keyclack so I don't have to deal with them ever again. 1 day left. Holding my breath. I have not received any email from Jchan, who said all emails will be sent out by 4/20/2018. Of course, the man fails to meet another one of his own deadlines. What else is new? 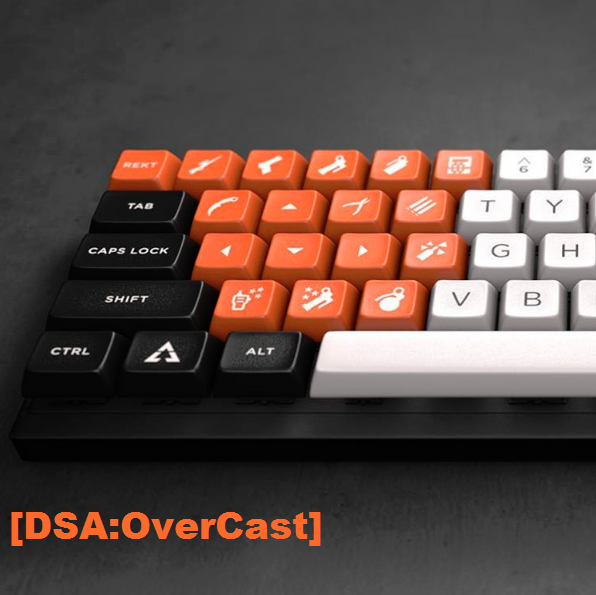 Edit: After discussing with many others in the hobby, I have decided the next best step is to post my inquiry on /r/mechanicalkeyboards so that Jchan94 has another opportunity to respond. Thanks, Keyclack. A form has been sent out to the participants, and resolution selected will be finished by around 4/30, cheers, have a good weekend everyone. I'll be rebumping the email on Tuesday & Friday this week. If you've already filled out the form, don't mind it. We're missing about 20 responses, so that's the reason for the bumps. I'm currently working on the refunds. The sets should ship by end of the week. sets are currently being sorted, and finalized right now. should have them out on friday. Received mine aswell. Thanks Jchan. Any update on shipping? I haven't seen any email from Keyclack since the resolution form went out. I'm finalizing the shipping right now. You sohuld get a tracking email tomorrow, or the day after. Has anybody received a shipping confirmation? This is getting ridiculous. Page created in 0.111 seconds with 72 queries.